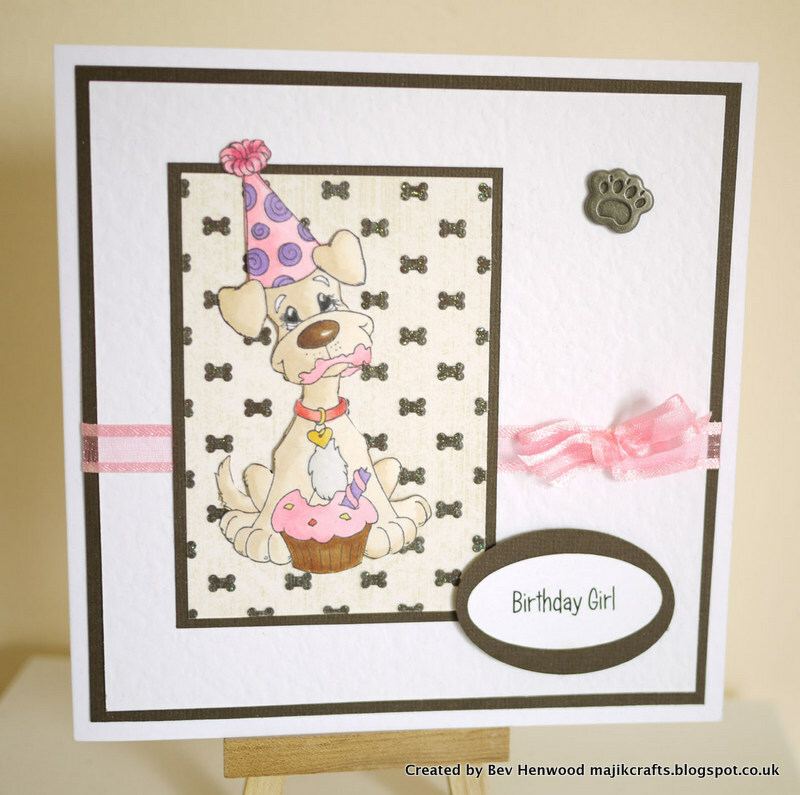 Today I am sharing a card that I made for my gorgeous dog Majik for her 5th birthday, I know totally soppy, but I don't have children so I have to spoil someone. 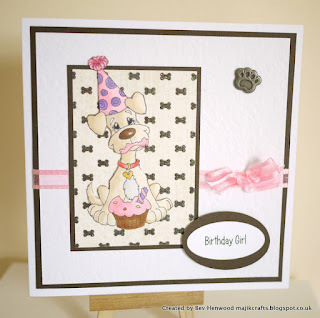 This is another first for me because I am going to attempt to enter a challenge with this card, the challenge is Wags 'n Whiskers Anything Goes. So, I have taken one of my cut down white hammered card blanks and then layered this with a square of brown Bazzil Basics and another square of white hammered card. 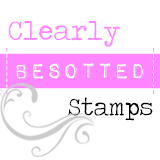 The image is Whimsey Stamps 'Cupcake Bliss', this was stamped using Memento Tuxedo Black ink and then coloured with Copics. The image was cut out and mounted onto a rectangle of bone patterned DCWV 'The Pets Stack' paper and more brown Bazzil Basics card. 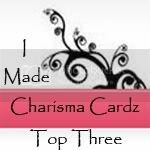 The sentiment is computer generated and cut out with a Stampin' Up oval punch. I added pink ribbon and the paw brad from my stash. Again apologies for the photo, hopefully when enlarged it will look a little better! Say Thank You With Pooh!